The Edmonton Valley Zoo will be putting a spotlight on moms – animal and human – this Mothers Day! The human moms will be pampered by Tranquil Mobile Spa with complimentary mini massages and manicures! Our resident animal moms will be getting special enrichment treat bags throughout the afternoon! Don’t forget to plant your mom a Teddy Bear Sunflower to take home! Magic shows, airbrush face painting, animal encounters, live music and so much more to make it a wonderful Mothers Day experience! And don’t forget to buy your mom a rose made from Elephant Poo Paper from the Zootique! Please click on the "Opportunities" tab above to see current available volunteer opportunities. Once you've signed up for a volunteer position we will contact you regarding the next steps in the screening and orientation process. 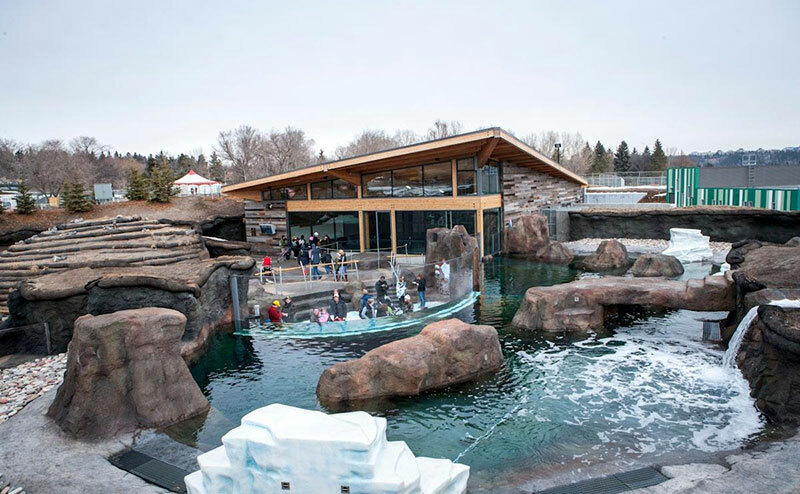 Nestled on the banks of the North Saskatchewan River, the Edmonton Valley Zoo is a small and intimate zoo that provides authentic and engaging animal experiences. Home to more than 350 animals and focused on conservation, the Edmonton Valley Zoo is one of Edmonton's premier attractions, offering fun and education for the whole family. More information about the facility, programs and services can be found at the Edmonton Valley Zoo website.